18ct White Gold. Ring is UK Hallmarked for solid 18ct Gold. Diamond Ring. Size N (uk) - 6 1/2 ( usa) Ring sizing details Below . Ring sizing service available, at cost price of £25.00. -Established family run jewellers with over 12 years of Experience. 9ct White Gold. Ring is UK Hallmarked for solid 9ct Gold. Diamond Ring. Size K (uk) - 5 1/8 ( usa) Ring sizing details Below . Ring sizing service available, at cost price of £25.00. -Established family run jewellers with over 12 years of Experience. 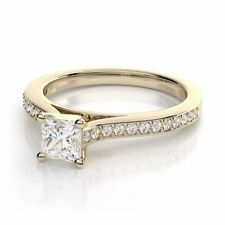 GORGEOUS NATURAL DIAMOND SOLITAIRE RING SET IN 18 CARAT YELLOW GOLD. ALSO HALLMARKED FOR DIAMOND CARAT WEIGHT WHICH IS IS 0.50. APPROX SI1/SI2 COLOUR H. DIAMOND IS OF VERY GOOD QUALITY NOT MILKY OR CLOUDY. H.Samuel 🌺 White Gold illustrate set Diamond Gold Ring Scrap Easter 🐰 SALE! For sale a Delicate White Gold Ring with a small 0.05ct illisturate set Natural Diamond, Round Cut ,Fully British Hallmarked and UK Size is [L1/2] as you see in pictures about 1.8g Weight, for Scrap! The Diamond is genuine and firmly set. The diamond is anatural diamond. Hallmarked, DIA, RG, 750 Scales, 750. Leopards Face. Set into 9ct GOLD with PLATINUM SHOULDERS & SETTING. ANTIQUE SINGLE STONE DIAMOND ( natural diamond ). 99P START NO RESERVE. This is a very quality ring with a thick band, has a beautiful diamond and has the original eye glass in the box so you can view the diamond in all its glory! • white gold (laser hallmarks to inner of the ring which correlates to the certification). Hallmarks:- The item is fully hallmarked for 18ct Gold. The diamond is approx. 5.3mm wide. The base of the ring shank is approx. The ring sits approx. The ring is in very good condition for a previously used item. Goldsmiths 🌺 18ct Gold Solitaire Diamond Ring Not Scrap ! British Hallmarked, No Misshaped, No Dents, No Scratched As you see in pic. and Good weight, Really Good eyecatcher, The ring Shank is Strong & has an immaculate Condition and can be resized by your local jeweller if its needed?. 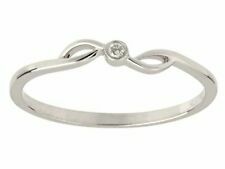 Brand New Platinum Solitaire Diamond Ring 0.30ct VS G Size M NO RESERVE!!! Brand New Platinum Solitaire Diamond Ring 0.62ct VVS H-I Size H/ NO RESERVE!!! Further accented with 12 small shoulder white diamonds. The Centre diamond is anatural diamond and a light silver grey colour. Approx SI1 clarity. good solid shank Hallmarked, GL, 750 Scales, 750, Anchor. 9ct White gold. Ring is UK Hallmarked for solid 9ct Gold. Diamond Ring. Size N (uk) - 6 1/2 ( usa) Ring sizing details Below . Ring sizing service available, at cost price of £25.00. Diamond has been tested to confirm it is natural. 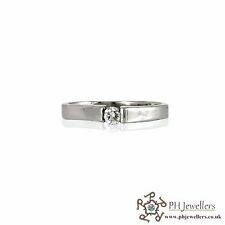 Quality fully hallmarked Platinum Diamond Solitaire ring. Excellent clarity S1 rare white diamond colour F/G. This was valued as you can see in Jan 2005 at £1800 given the massive rise in the vale of platinum in recent years the value of this would much more than that. 9ct white gold Bridal Set. Size i (i for ice). The rings are in good used condition, the bands are quite narrow/thin. 9ct Gold Diamond Solitaire Ring. A very pretty diamond solitaire in 9ct yellow and white gold. The ring is has a full 9ct gold hallmark.The diamond is approx. Ring size The condition is excellent. Diamond is bezel set in platinum with the patented Tiffany & Co Bezet setting, with 18k rose gold band. Tiffany & Co Platinum and 18k Rose Gold ring set with one round brilliant cut Diamond -. 16ct total weight. 9ct White gold. Ring is UK Hallmarked for solid 9ct Gold. Diamond Ring. Size L (uk) - 5 1/2 ( usa) Ring sizing details Below . Ring sizing service available, at cost price of £25.00. Diamond has been tested to confirm it is natural. 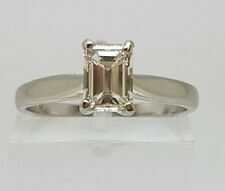 Lovely 9ct Natural Diamond Solitaire Ring, 1.4g in weight and size J. Will be sent Royal Mail signed for tracked/Special Delivery to provide full insurance cover. 9ct White gold. Ring is UK Hallmarked for solid 9ct Gold. Diamond Ring. Size T (uk) - 9 5/8 ( usa) Ring sizing details Below . Ring sizing service available, at cost price of £25.00. Diamond has been tested to confirm it is natural. DIAMOND SOLITAIRE RING. DIAMOND IS SET IN PLATINUM. ITS A 1/16. NICE OLD 14.